Does your DPF need cleaning? 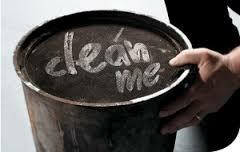 DPF Cleaning available at our Detroit & Grand Rapids locations! Superior Turbo & Injection is also a distributor of Dinex®, Skyline® and DuraFit® DPFs and DOCs. DFTC17-0029 DuraFit DPF CUMMINS ISB 9.0"
DFTC17-0030 DuraFit DPF CUMMINS ISL 10.5"
DFTC17-0032 DuraFit "DPF CUMMINS ISX 12.0"""
DFTC17-0042 DuraFit DPF CUMMINS ISC 10.5"
DFTC17-0052 DuraFit "DPF CAT C9/C7 12"" X 1"
DFTC17-0057 DuraFit DPF VOLVO D13 12" X 1"
I'm not sure. Please help me identify my Diesel Particulate Filters & DPF Cleaning.